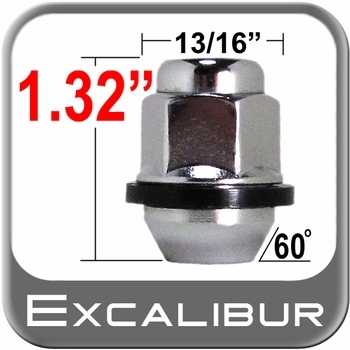 You can rest assured that these Excalibur lug nuts are built to exacting standards for a precise fit. Replace your rusted lug nuts before the rust spreads to your wheels. Manufactured using top quality hardened steel. Outstanding quality chrome plated steel finish.